When is the last time you had a grilled cheese sandwich? For most of you, it was probably a few months ago. But, I’m sad to even consider it, there are probably a few of you who haven’t had one in years! I am proud to say that my last encounter with this blessed sandwich was exactly a week ago; and do you know why? 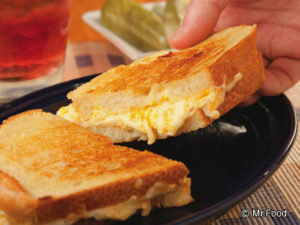 Simply stated: the grilled cheese is one of my all-time favorite sandwiches. I can’t be the only one who’s caught the grilled cheese bug, can I? There’s something about that warm ooey-gooey cheese, melted perfectly between buttery toast, that makes everyone’s mouth water! There’s something special, and something beautifully American, about the grilled cheese sandwich and, if you don’t agree, I’m here to change your mind. What’s more, April is National Grilled Cheese Month! This grilled beauty charmed our nation so much that it now has a whole month dedicated to it! After a little research, I realized that this meal has been melting hearts (get it?) for hundreds of years, and not just in America. The Ancient Romans were making this classic sandwich! So technically, when you eat this sandwich, you’re eating like an Emperor. More recently, in the early 1900s, a man named James L. Kraft was betrayed by his business partner and left stranded in Chicago with only $65 in his pocket. Kraft…why does that name sound familiar? That’s right: CHEESE! To earn his living, Kraft began selling cheese; but he noticed that it went bad very quickly (Ew). So, to solve it, he created what we know as “processed cheese”. You know, that stack of laminated squares we all have in our fridge. That was him! 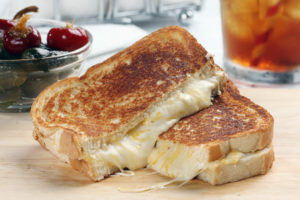 James began selling his Kraft cheese across the country, and in WWI, United States Soldiers lived off of 6 million pounds of cheese that found its way into their trenches as a grilled cheese sandwich. Later, during the Great Depression, this sandwich was even responsible for feeding school childre n alongside cans of tomato soup. With this sandwich showing so much love and support for our troops, and carrying our ancestors through the Depression, it’s no wonder America is celebrating it for a whole month! This loveable and melty sandwich has come a long way since the early 1900s. Today, there are so many different grilled cheese recipes going around, it’s hard to know which is best. Well, luckily for you, I work at the Mr. Food Test Kitchen. That means I’m here to make a few solid recommendations. If you’re feeling like enjoying a grilled cheese while taking a trip to Italy (the perfect combo), then I recommend our Caprese-Style Grilled Cheese. Don’t let the word “Caprese” scare you; it’s just a classy way of saying you want a grilled cheese with fresh mozzarella, juicy tomato, and a little basil! Mm, it’s absolutely delicious. If you’re more of an Italian meat lover, you’ll love our Italian-Antipasto Grilled Cheese! That just means we loaded it up with your favorite Italian deli meats. 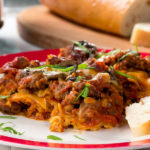 If Italy isn’t your style, how about something perfectly Southern. Our BBQ Pulled Pork Grilled Cheese is made with a little bit of BBQ and a lot of hearty down-home comfort! 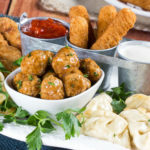 It’s the perfect meal to really satisfy everyone at the table. Not to mention what goes better with melted cheddar cheese than sweet and tangy BBQ? Nothing! 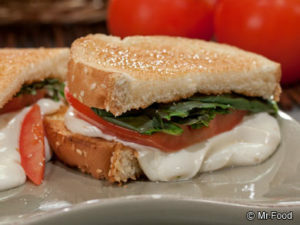 If you’re feeling a little adventurous, don’t be afraid to go “bistro-style”, with our Grilled Goat Cheese Sandwiches! Howard calls this sandwich the “grilled cheese for grownups”, so you know it’s going to be delicious. 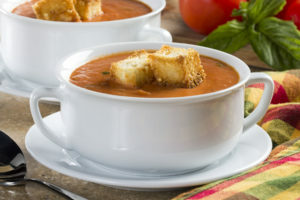 I love to serve that fancy sandwich with some of our Bistro Tomato Soup. It really hits the spot pretty much any day of the week. But if you prefer something classic and close to home, you need our Ultimate Grilled Cheese Sandwich. When America fell in love, this was the sandwich they were thinking of; you’ll be head over heels with just one bite! What’s your favorite way to make grilled cheese? Please let me know! And make sure to share this blog with a friend. After all, everyone deserves to get a taste of America’s favorite, warm, melty, buttery, and ooey-gooey sweetheart; not just today, but all year-round!